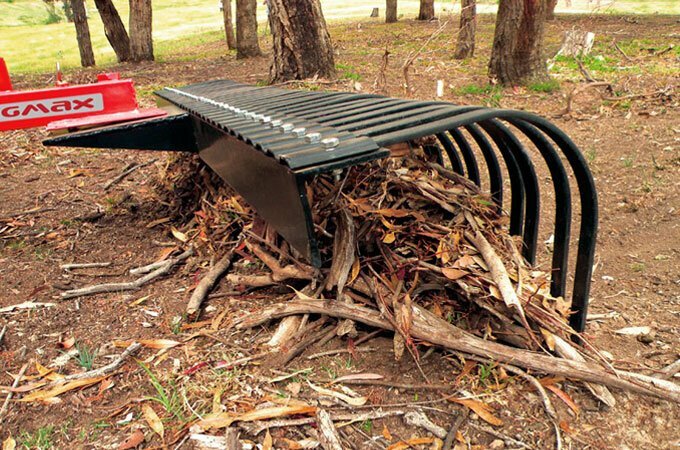 Stick rakes are used for clearing debris prior to slashing and mowing, or to prevent fire hazards or clean up after storms. 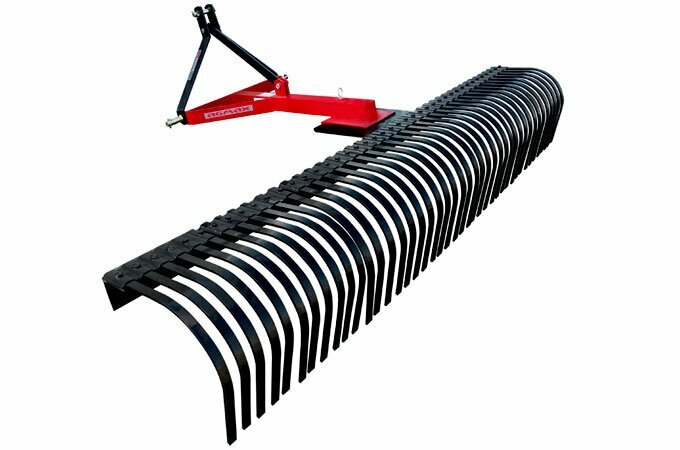 AGMAX stick rakes have thick, tempered steel tines for contouring over uneven terrain and they attach easily to your tractor’s three point linkage. The closely spaced tines make this implement useful for grass and the rake can even be offset for windrowing. 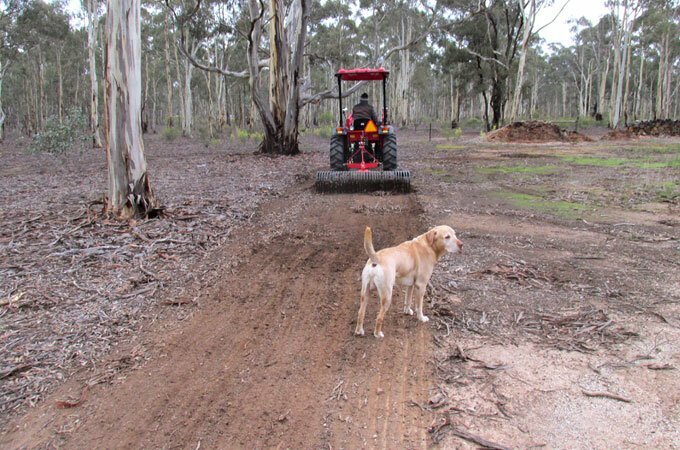 A Kubota tractor fitted with an AGMAX stick rake. Clear debris prior to slashing or mowing. Prevent fire hazards or clean up debris after storms. 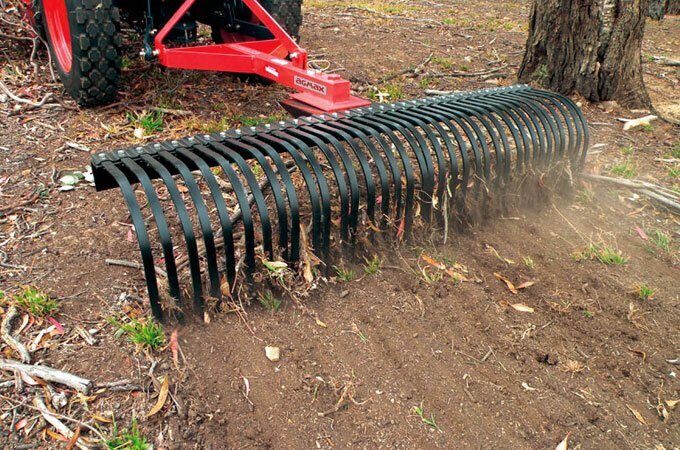 Rake leaves effectively, while lightly harrowing the soil. 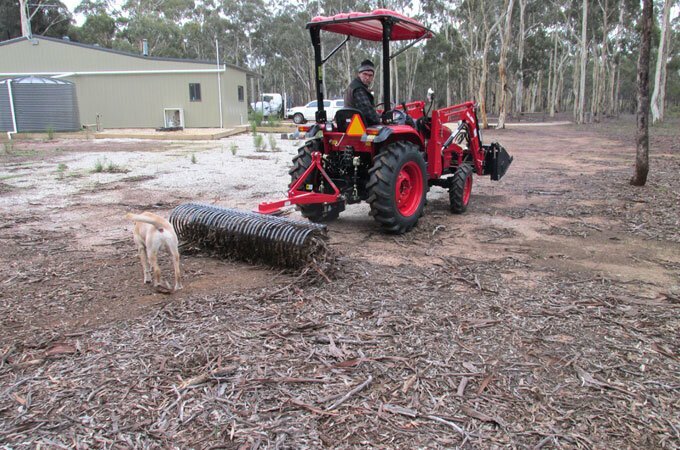 The SR120 rake or the SR180 rake are ideal for maintaining dense plantations and the SR240 rake is great for those deciduous trees and bark shedding eucalyptus. 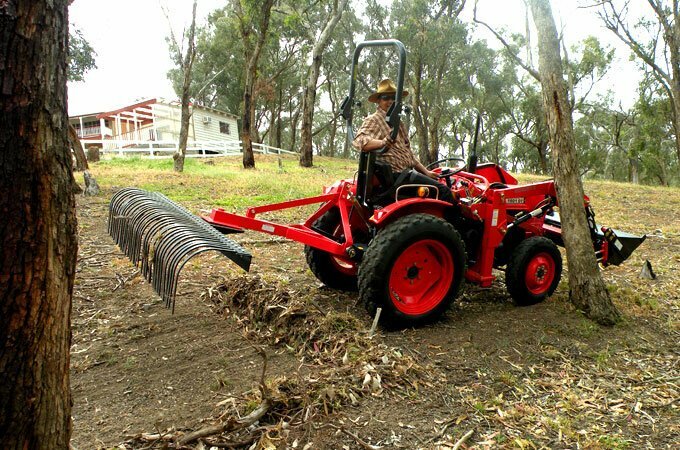 The AGMAX SR120 (4′) stick rake is ideal for maintaining dense plantations and its closely spaced tines collect debris with ease. 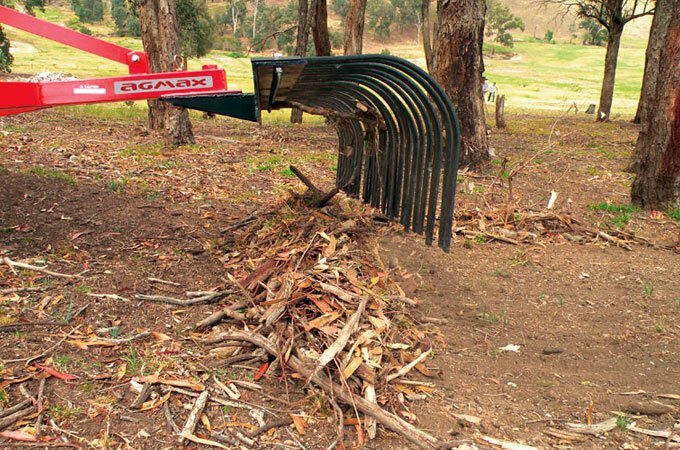 The larger AGMAX SR180 (6′) stick rake is great for deciduous trees and bark shedding eucalyptus, as the larger width means less time will be spent cleaning your property. 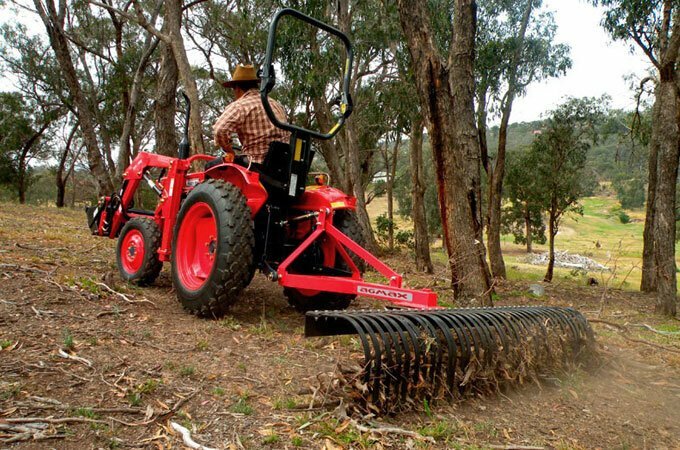 The largest stick rake is the AGMAX SR240 (8′), which is suitable for a bigger tractor and also works really well with deciduous trees and eucalyptus bark. 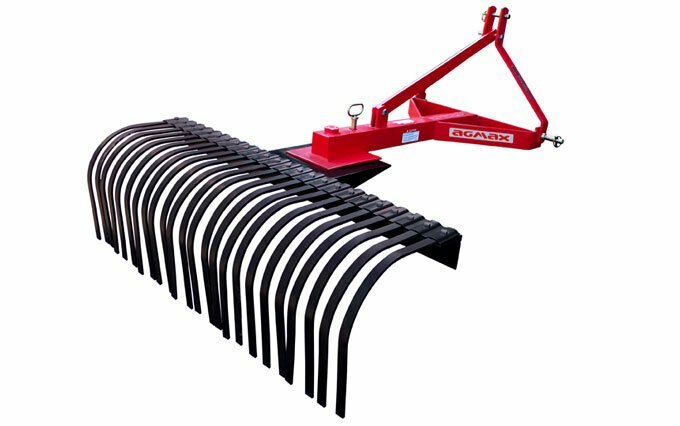 Stick rakes can be used for levelling and distributing topsoil, as well as collecting debris. APOLLO 454 with an AGMAX stick rake.